The public works department isn’t responsible for trash collection as this service is contracted out to a private company. 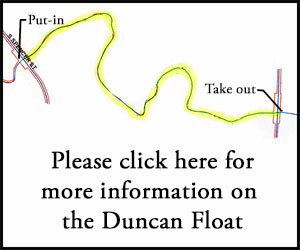 However Duncan residents should go through Duncan Town Hall to replace a trash container or for any other problems with trash collection as described in the first of the boxed areas that follow. Please scroll down for more information on services provided by the public works department. 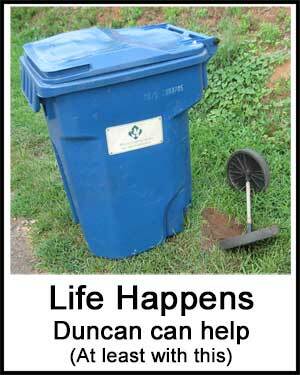 New Duncan residents should contact Duncan Town Hall at (864)-249-8000 if there is not a roll out trash container at your residence. Please ask for the Town Clerk or the Town administrator to request a rollout container. Residential trash pickup day is every Monday. The Town of Duncan signed a new two year contract with a new trash company starting in January 2018. The new company does pick-up trash bags set out next to or on top of the roll out container to the point they consider reasonable. Please use common sense. An extra bag or two around the holidays is reasonable. Five extra bags every week is not reasonable. A major complaint with the previous company is shown in the picture. The mechanical arm broke several cans every week. The company was very good about replacing the roll out containers free of charge but it was a hassle for both Duncan citizens and Duncan Town Hall. The new company will replace broken roll out containers as well. The process is to contact the Town Clerk at Town Hall (864-249-8000) who will contact the garbage collection company. Town crews will pick up leaves during the normal leaf season, usually from December to late February. Please rake your leaves in a pile at the curb and remove all yard debris such as rocks, limbs, and so on. Town crews will pick yard debris year round. They have no set schedule for this. They have to drive most of the streets of Duncan each week so they simply make note of where the debris is and schedule a pick-up. If your yard debris has been out for a long time please call Town Hall and let us know. Street maintenance is a major problem for every municipality in South Carolina including the Town of Duncan. 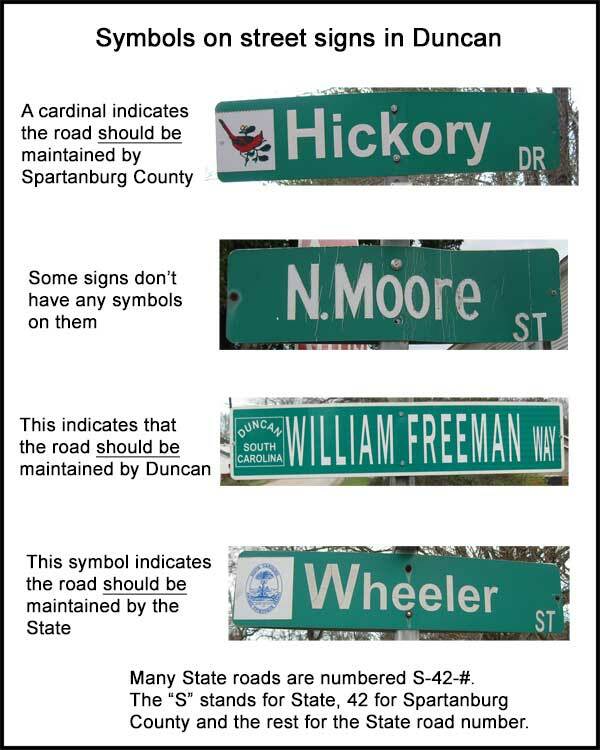 Most street signs have a symbol on them that tell you if the State, Spartanburg County or the Town of Duncan should be responsible for that road. These symbols are shown in the picture below. Still to this day there is controversy over who is responsible for which roads so the symbols aren’t always correct. If you have pothole the best approach is to contact our Town Administrator at Town Hall (864-249-8000) to find out who is responsible for the road. The contact information for State and County road maintenance departments follows. Street light repair works much like pothole repair. The best approach is to contact Duncan Town Hall at (864-439-2664). Our mission is to provide infrastructure services, environmental services and code enforcement to the Town of Duncan citizens and visitors. The planning, preservation and implementation of Public Works services ensure that customer satisfaction is the foundation for every project. A continuous forward-looking approach drives the common goals of enhancing our community.